Keep you and your loved ones safe this Halloween season by checking out these safety tips! Have fun but play it safe this Halloween season! Everyone knows that Halloween is a time for fun and treats, but it is also a time to observe important safety precautions! From practicing safety while trick or treating, to following preventive fire safety measures, to monitoring your candy haul and consumption, there’s a lot to consider each year when All Hallows' Eve comes around. Take a look at these Halloween safety tips to keep you and your loved ones safe and secure this upcoming Halloween! Don’t go trick or treating alone. Go with a friend, family member or with a group. Stick to the sidewalks and stay out of the street as much as possible. Have your cell phone on you in case of any emergencies. Wear something reflective on your costume or trick or treat bag to make yourself more visible in the dark. Glow necklaces and bracelets are also good for this. Only carry around fake weapons that are soft, flexible and won’t do harm to others. Throw out any candy with punctures, candy that is unwrapped and candy that looks discolored or strange in appearance. Discard candy, baked goods and other foods that are homemade. Remember: IF YOU’RE EVER IN DOUBT, JUST THROW IT OUT! Keep any and all decorations away from any open flames or heat sources. Decorations can quickly catch fire. Play it safe and dress up in flame resistant costumes. Do not pick out a costume that includes a long train that trails behind you. This part of your costume could easily catch flame from lit candles or Jack O'Lanterns. When lighting up your own Jack O'Lanterns, consider using a flameless tea light or glow stick instead of an open flame. If you are using real, lit candles in your Jack O'Lanterns, only have them lit when you are present, keep them away from where trick or treaters are walking and away from any flammable objects or decor. Keep all exits clear and free from any blockage in case of an emergency. Keep any and all candy off of the ground and away from surfaces where pets can reach them. Many candies are toxic to pets. Opt to keep the candy in a closed container far out of their reach. Keep any Halloween decorations, like streamers, spider webs, ribbon, etc., out of reach of your pets They may try to eat them or choke on the decorations. Do not dress your pet up in a tight, restricting costume, or any costume that could obstruct their breathing or ability to move or see. If your pet seems stressed out or distressed by their costume, take it off of them. Costumes should never be kept on pets when they are unattended. Keep your pets inside on Halloween. If they need to go outside make sure it is only where you are present and able to monitor them. Keep your pets away from the front door on Halloween. They may dart out when the door opens for trick or treaters or become scared from all of the commotion. Over 50 Fair Returns September 29th: Because Having Fun Never Gets Old! 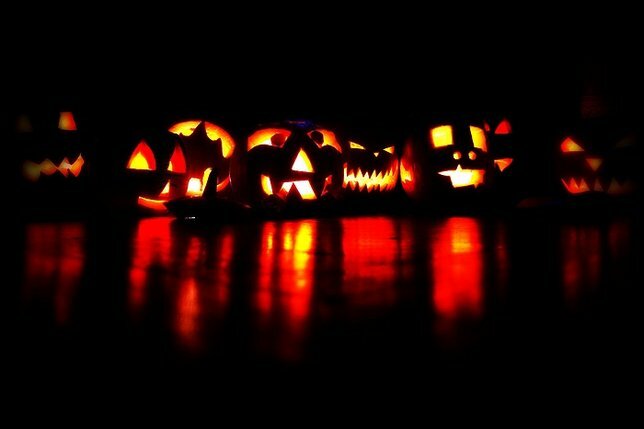 Subject: LongIsland.com - Your Name sent you Article details of "Scare Up Some Frightful Fun Safely This Halloween Season With These Safety Tips"